One note about the feta- the real deal will really set this salad over the top. Peter from Kalofagas (my favorite Greek cooking blog) recommended the Dodoni brand from Costco. I haven't been able to find that buy I love the authentic Greek Feta from Trader Joes. It comes in a white and blue box and is soaked in brine so it stays fresh. It's even made in Greece and is the only kind my brother, who lived in Greece, likes. Come back Monday for another one of our all time favorite salads. Toast walnuts in butter on low for 5 minutes. Combine sugar and pepper and coat hot nuts. Hi Anne! Thank you so much for your sweet comments on my blog! It's always nice to meet someone new...Your blog is terrific..I am off to read some more! This salad looks really delicious..and its healthy too! Sounds like a perfect salad to me! But you're right, my husband calls this kind of thing "Relief Society" food. ;) He also doesn't like fruit in his salad. I LOVE it. I just bought some great salad mix at the farmer's market this morning and just might make this tomorrow. Love the candied walnuts, too! Anna, thanks for the shout-out and for touting the virtues of Greek Feta. Glad to hear Trader Joe's carries one made in Greece. The salad has lots of Greek flavours in there too! More walnuts for me, please. MMmm, that does sound fantastic! Perfect for lunch with "the girls" (like I ever do that, LOL, but in theory you know). Yum, I have some feta that needs to be used up. Thanks for the recipe. Looks delish! I can almost taste it... Making good salads is not a strong point for me so I'm going to hang on to this one. I came by to see if you baked for TWD this week, and love your blog all over again. I haven't been around commenting very much, so your header/blog design is new to me, and just adorable!!! 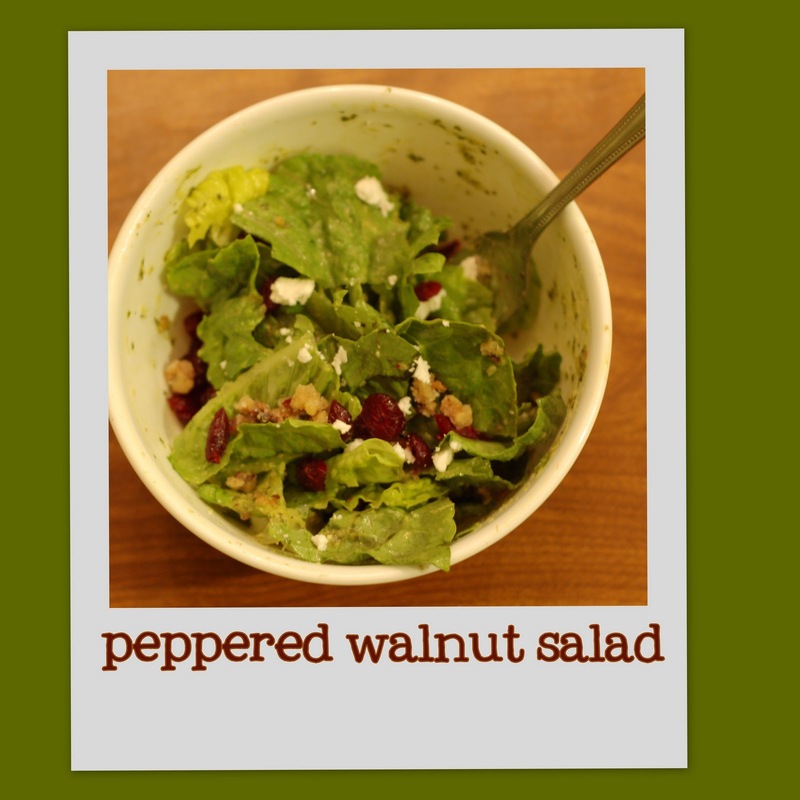 I'm going to bookmark this salad - I love anything with pepper and/or walnuts, so together I'll be in heaven. I've made that broccoli salad for years and it always makes a hit.